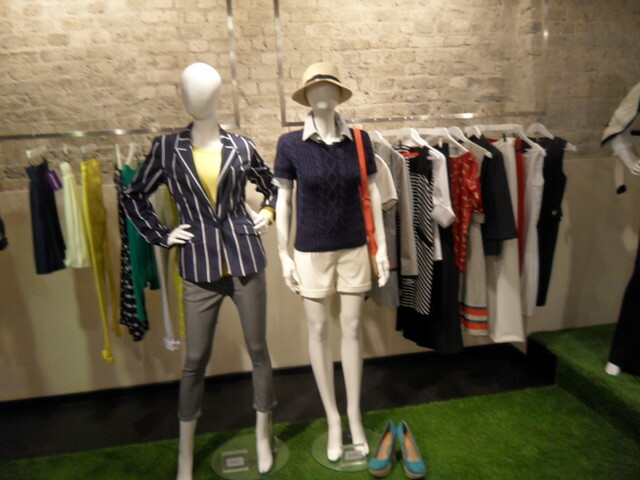 The Casual Brights & Plastics Range is full of bright & bold summery pieces. The colours emphasise that summer is dawning. 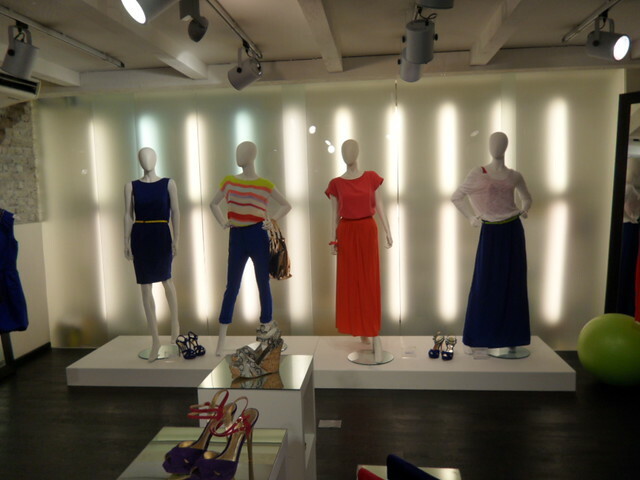 This range is full of statement pieces to be worn to make a stand, hence neon colours making a comeback. 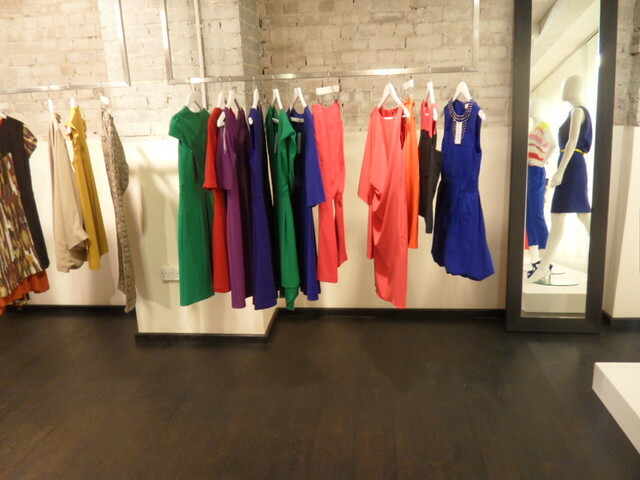 The Hero pieces of this collection are the dresses, such a variety of different dresses in a wide aray of colours. All bold and bright, very obvious, yet still classy. The Origins Range is a collection full of mustards, burgandys, and deep oranges, enhancing a major Earthy vibe. These pieces have a very Autumnal feel about them and the most obvious look to be achieved through wearing these pieces will be a bohemian look. Hippy Chic perhaps? There are many strong prints and long skirts floating around this collection. The Lawn Games range is very modern, up to date British. Very typical 'Tea & Scones' themed. 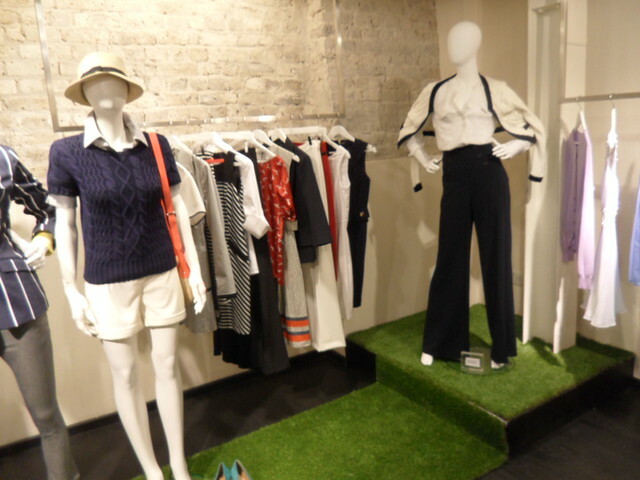 Cricket jumpers and tennis skirts being huge this Spring. Polka dots and daisy prints will make huge statements aswell as calm shades of blues along with whites, greens, and yellows being statement colours. Typical British games such as Cricket, Tennis, Polo, Croquet themed outfits are with this range are all about. The range hopes to make a huge comeback for the pleated skirt too. The Marina Couture range is bringing back the Nautical theme which was huge in 2011. Majority of pieces are structured and tailored which automatically looks smart. Swallows and stripes are they key points to look for, and colours such as reds, blacks, blues and whites are all the rage in this range. The pieces are light and crisp ready for the Spring and Summer approaching us. The Ms Jet Set range is full of pastel coloured, feminine pieces. Icecream colours are a huge hit with this range, very paled down colours such as lilac. The material of these pieces are light and delicate, making crochet and lace the statement pieces, along with the occasional embellishment added to some pieces to jazz it up a bit. This range hopes to bring back light cardigans in the new year too. The Black & Gold range is full of classic colours, black, gold and white. These pieces are very classy and very simple and can be worn for more than one occassion. 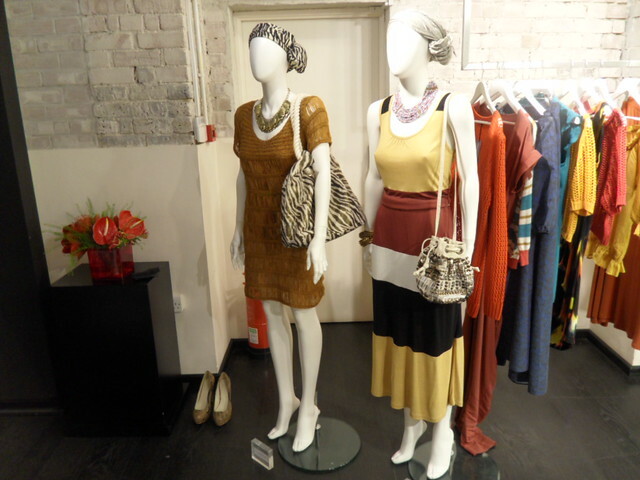 The range is full of A-Line Skirts, Shift Dresses, as well as many grecian pieces. The simple pieces incorporate sheer materials and this works very effectively. The pieces in this range are perfect for Party Wear as well as for Wedding Wear. The Oriental Floral range is bright and beautiful. Full of flowery pieces with a twist to make them that little bit different and unique. The majority of pieces are made from silk material, which gives them a light feel and look. The pieces are feminine and the patterns can be quite complicated, Japaneese inspired outfits with modern twists. These are some photos from my day in London on the 16th November at the Littlewoods Press Day event with my friend good friend Beckie who's studying Fashion & Textile Management at University. I had a lovely day and met some lovely people as well as being able to view some amazing pieces which i've shown to you above. 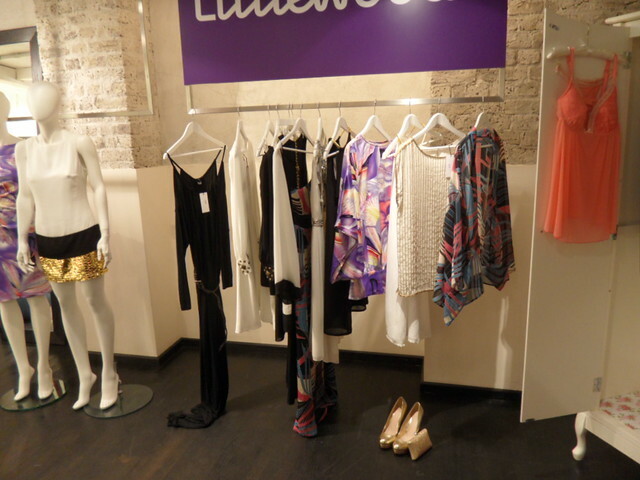 The SS12 Collection for Littlewoods amazed me greatly and opened my eyes to beautiful items. The prices of the items to be appearing in the Late February, Early March 2012 times are reasonably priced and will be key trends in the New Year. My favourite range is probably the Ms Jet Set range although i know that i'm most likely going to be able to wear much from this range as the pastel colours will make me look even more washed out then i do already. You can't really go wrong with the Black & Gold range is also one of my favourites, you see that dress i posted from the Lookbook.. yeah someone needs to buy that for me, because i think i've fallen in love with it. 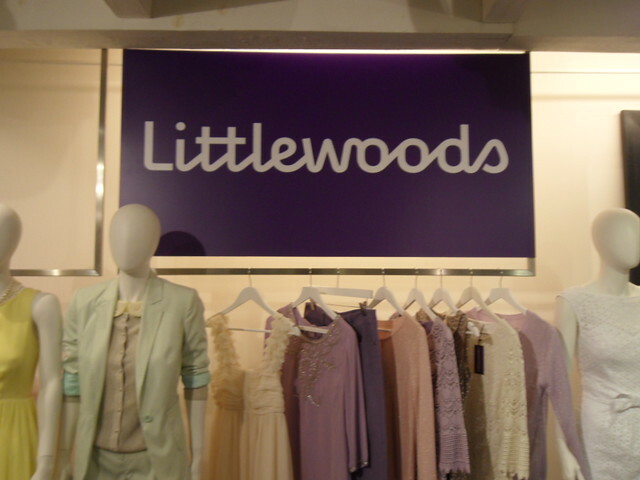 The Littlewoods PR team were lovely and welcoming, so friendly. I think what i found the weirdest though was that people actually recognized me. 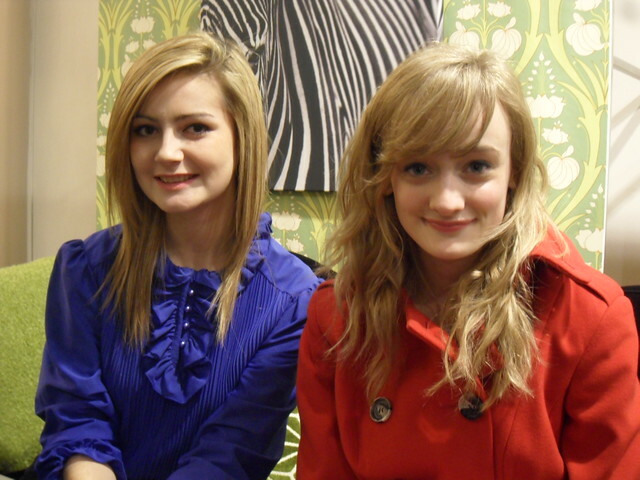 The last photo i posted is of myself and Daniela from Couture & Crumpets, who i met. Such a lovely girl! Ohh, looks like theyre coming out with some great pieces! you look gorgeous, courtney! this looks like it would have been really great to be apart of :) i love the white,black,gold oriental floral dress. Thank you so much for your lovely comment on my blog dear! You really look so pretty! Stunning! Just stumbled upon your blog from IFB. You are beautiful and I love your eye for fashion. I'm your newest follower. I hope you'll check out my blog Gingersnaps and follow back if you like what you read.